I think this is an absolutely gorgeous trompe l’oeil sweater. Especially for 1985 Vogue! 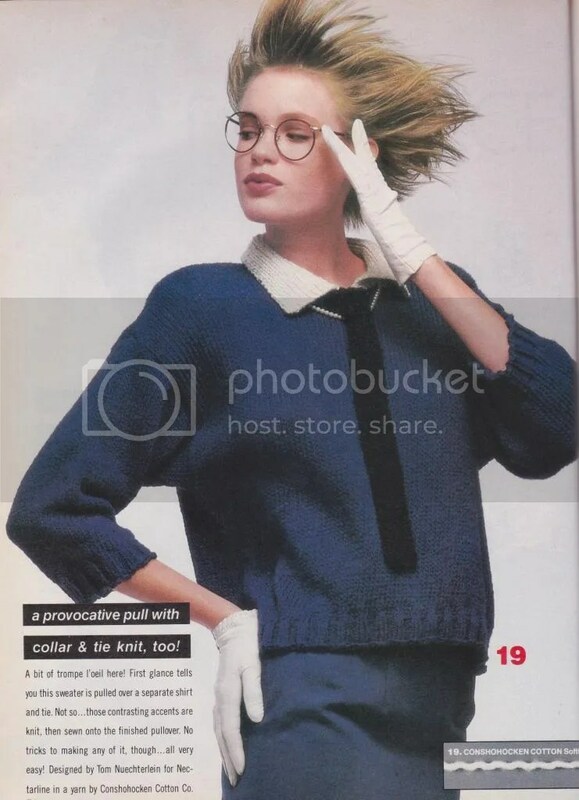 This entry was posted in knitting pattern and tagged 1980s, sweater. Bookmark the permalink.